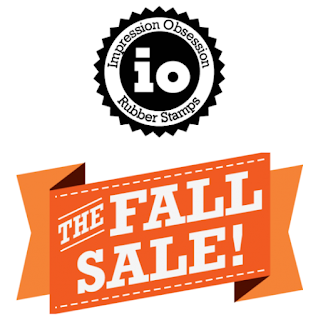 Dina Kowal Creative: Impression Obsession Fall Sale! Just wanted to let you know that the annual Impression Obsession sale is on NOW! Until midnight (EST) Monday October 23, use coupon code FALL25 to take 25% off everything on the site. The sale includes all clearance and sale items on the site and there are LOTS of those. Check out the overstock dies section - there are also HUNDREDS of clear sets at 50% off PLUS the additional discount.